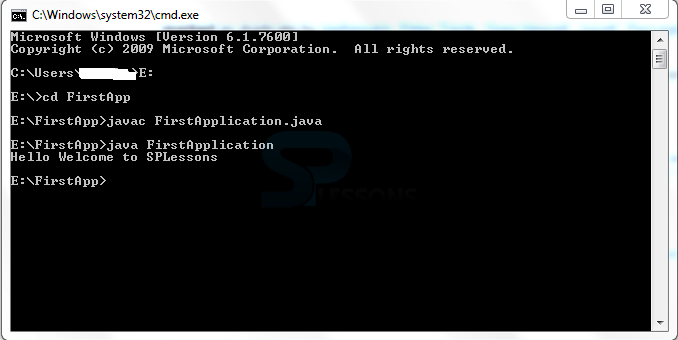 The chapter First Java Program will explain the basic program. 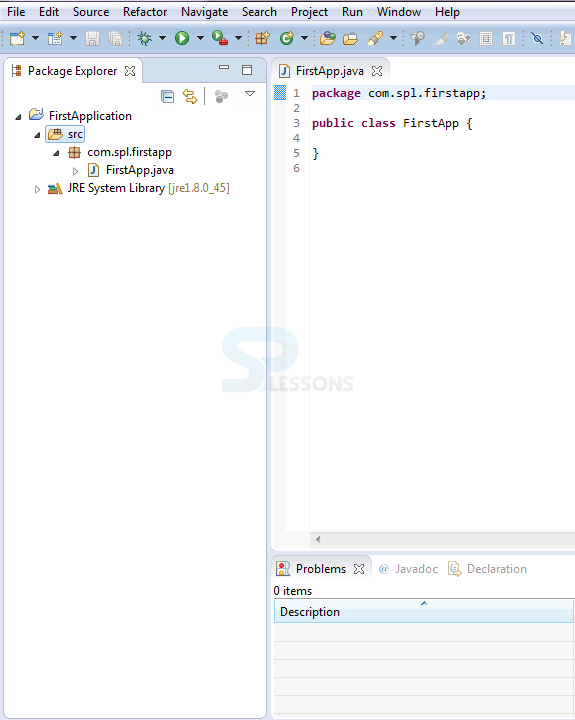 Following are the some of the First Java Program steps needs to be followed while executing the code. Open Eclipse -> File -> New -> Java Project -> Enter App Name. 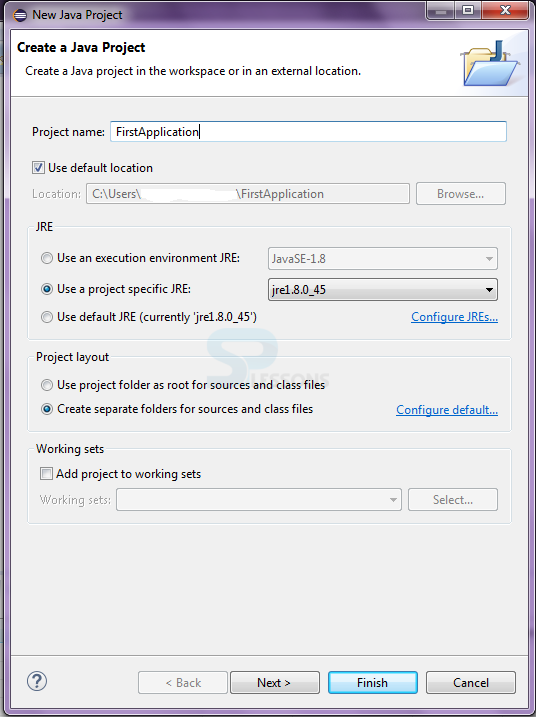 src folder contains the source file of the project. 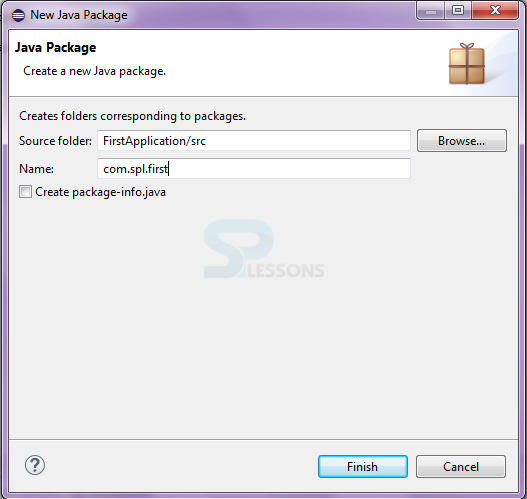 (.java).To create source file right click on src -> package -> enter package name -> finish. Right click on package -> class -> enter name of the class -> finish. 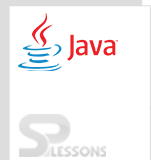 A Java package is a group of Java program developed for a particular purpose. The packages are more re-usable during development. During development Java files are stored in separate folders by name, search where as, class files are stored in another directory by name bin folder. 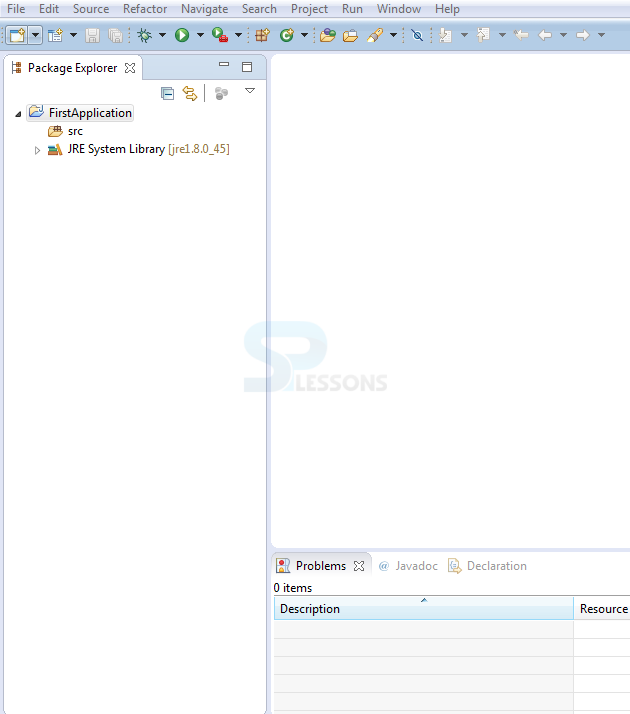 When the program is compiled, all classes are bound to one package. 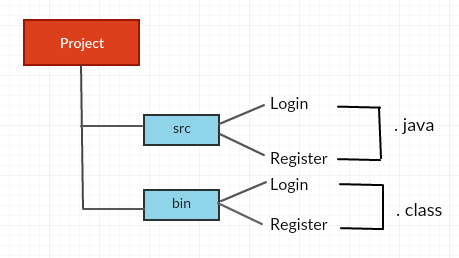 Output:Click on Run ,you can see output in console. Class is a keyword which is used to declare a class in java. public a keyword which is an access modifier which represents visibility.Using this keyword means it is visible to all. Static is a keyword.If any method is declared as static, it is known as static method or if any variable is declared as a static it is known as static variable. To know more refer this. void is the return type of the method.It means void doesn’t return any value. Main is a method which represents startup of the program. It is used to print statement or print the data. Main method of a java class is developed to read command line argument. Any information passed to the java class while running, is known as command line argument. The command line argument are converted into string array and passed to main method. Whenever a program is developed, it should read data from command line, then string array args of main is used. If notepad is being used,save above class file as FirstApplication.java .Then go to command prompt,navigate to path where.java file is stored. The following is an example to find the factorial of a number. The factorial is normally used in permutations and combinations, in the above example, for loop is used to compute the result, the same can be done with recursion also. The following is the result will be displayed. 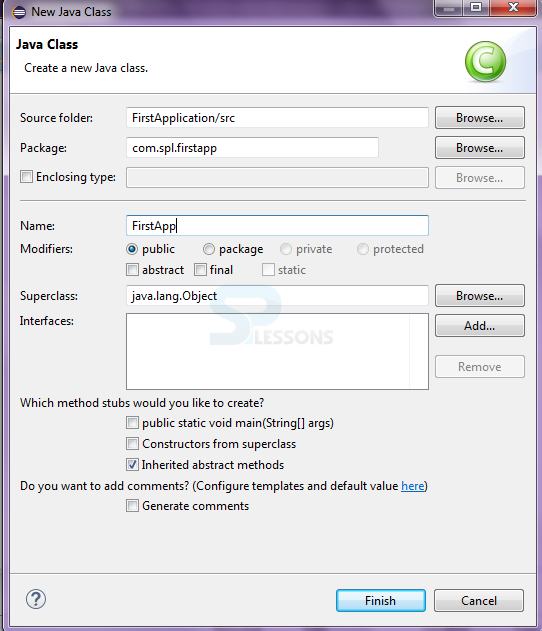 First Java Program – Make sure to save the file with class name.java. First Java Program – System.out.println(""); is used to print the statements.